Team: Matt Blanchard, Lenny Briggs, Bryan Cortes, Rob Davy, Ryan Equale, Brooke Gibson, Jamie Hartland, Mark Howansky – Alt. Captain, Andy Kessler – Captain, Ryan LaGuardia – Alt. 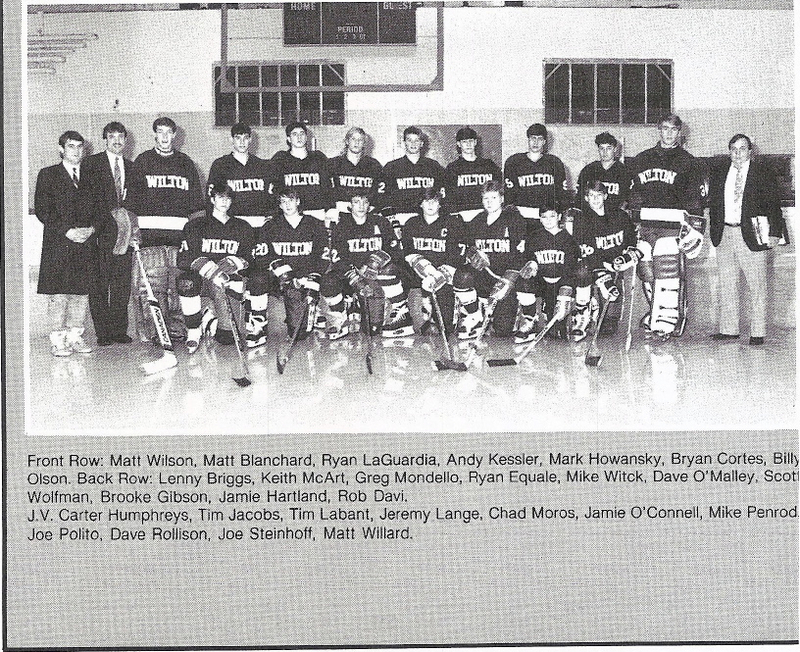 Captain, Keith McArt, Greg Mondello, Billy Olsen, Dave O'Malley, Mike Witek, Scott Wolfman. 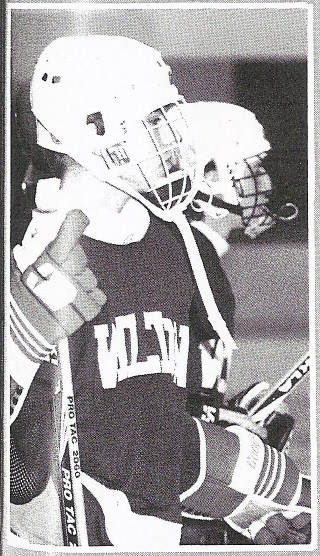 The biggest regular season win in Wilton High School Hockey history took place the night they beat Ridgefield 6-3. With this win they assured themselves a spot in the FCIAC playoffs. They entered the state’s top 10- at number nine- for the first time ever. They knocked off the state’s second ranked team and its archrival for the first time since the 1970’s. The defense were exceptional and junior center Ryan Equale played rugged defense while scoring goals. First year Coach Charlie Blanchard felt his boys “played like they wanted to win”. 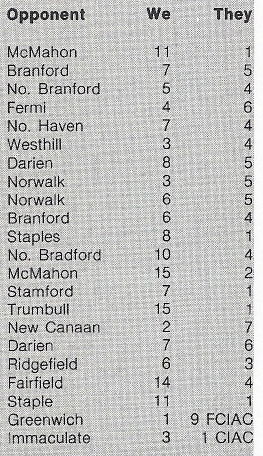 The warriors ended the season in a good position for FCIAC playoffs at Connors Rink in Stamford. Goalie Keith McArt showed fine style with multiple saves this year.